Imagine if you could connect every device in your life to the internet? This isn’t limited to your desktops and smartphones, we are talking about everything! Set your clocks, garage doors, speakers, lights, windows doors, windows, door bells, water heaters and appliances whichever way you want them! Not only that, they will communicate and send you information and remotely take commands! No, this isn’t some high-tech sci-fi movie! This is real life! And all of this can be done through home automation! 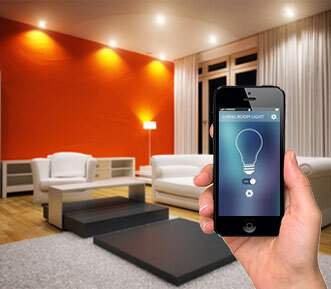 Home automation means exactly what you think it is. It is the ability to control devices around the house with a simple push of a button (or voice commands if you really want to go that fat). Some activities like turning your lamp on and off are simple and cheap however advanced surveillance cameras may require a bit of expertise and of course money. These may cost money but imagine monitoring your home on your computer or smartphone, or even certain mounted panels around the house. It’s like Star Trek only simplier! Home automation is becoming big. If you want your house to get smart and you’re willing to spend money on it. Here’s how to get started. 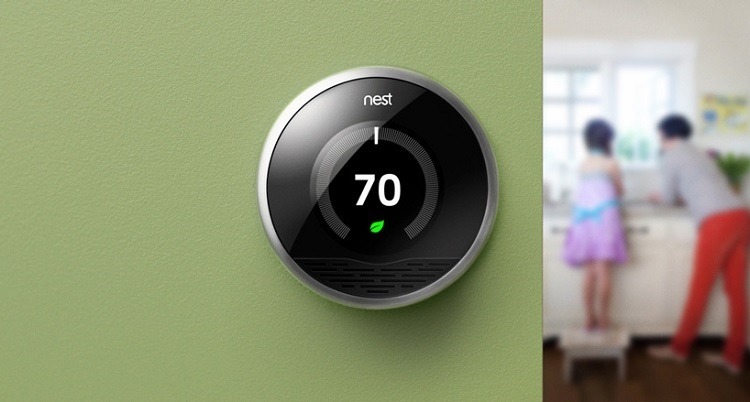 Normal thermostats allow you to adjust the temperature in your own home. It’s pretty much controlled by a single control panel for heating and air conditioning. Programmable thermostats however lets you control the temperature and have the thermostat adjust based on the time of day. What’s nice about these smart thermostats is they learn from your adjustment patterns, allowing you to control the climate in your home remotely. A good example would be telling the thermostat to shut off after you leave the house for work and then turn on again just in time you make it to your house. Most smart thermostats will show you how long it takes to make the changes you’ve made and will show the energy consumption in real-time. Not only that, it can adjust themselves on ambient conditions like humidity. You now have the option to select indoor and outdoor lights on or off automatically every time you arm or disarm your security system. You can set schedules for your lighting needs, giving you the option to turn a set of lights on a couple of minutes before you get home from work and another set off an hour after you decide to go to sleep. You can program scenes and schedules for good lighting and for your own security. You can control your lights from remote locations as well. Not only is it convenient, it also helps scare off burglars. You can now automate your locks by converting your smartphone into your key. You can now simply enter your home by touching the lock while keeping your phone in your pocket or purse. This is handy if you have kids that always forget to bring their keys or for relatives who stopped by but there is no one around. This also allows you to unlock your doors from your office or anywhere else. Smart locks also allow you to lock and unlock automatically whenever you arm or disarm your security system. It also allows you to schedule for added safety and convenience. Scenes and schedules are very useful and convenient. This enables you to enhance your lifestyle and help you save money and energy without changing your daily routines. Most can be scheduled manually and some even read your behavior to perfectly match the time of the day. An example would be a “Good Night’s” scene that would mean having doors locked and lights shut off when you turn on your home security during the evening. A schedule can be created to have the porch and hallway lights on and set the thermostat to a specific temperature before you arrive from work. Cameras not only help keep your home secure it also helps in monitoring the people in the house e.g. kids and old relatives. You can view these cameras around your home on touchscreen monitors, televisions, tablets, smartphones or your computer. You can also use these cameras to screen visitors, watch over pets, monitor your entrances and other activities occurring around the interior or exterior of your own home whenever and wherever you want. The possibilities are endless. Operate the shades in your home for ambiance, privacy and security by raising and lowering them at specified times. Automated shades make it easier to access skylights and other hard-to-reach windows above sinks, counters basin and bathtubs or in high foyers. They’re also an ideal way to reduce glare and help protect furniture, floors, carpeting and artwork from the damaging effects of direct sunlight. Take control of household ceiling fans! Automate your ceiling fans to turn on or off when you arm and disarm your security system. Program them for specific times of the day to work together with your lighting and more! Control your television, sound system and entertainment center with one universal remote. Designing your dream home cinema close the drapes, dim the lights, start the movie, control the climate and so much more. Sit back, relax and enjoy your home entertainment without hassle!